Artist and filmmaker Schnabel (The Diving Bell and the Butterfly) tackles the latter years of Vincent van Gogh, specifically his time in Arles and Auvers-sur-Oise where he struggled to portray the countryside and people around him while contending with the misunderstanding of his friends, including Paul Gaugain (Isaac) and the hostility of his neighbours. 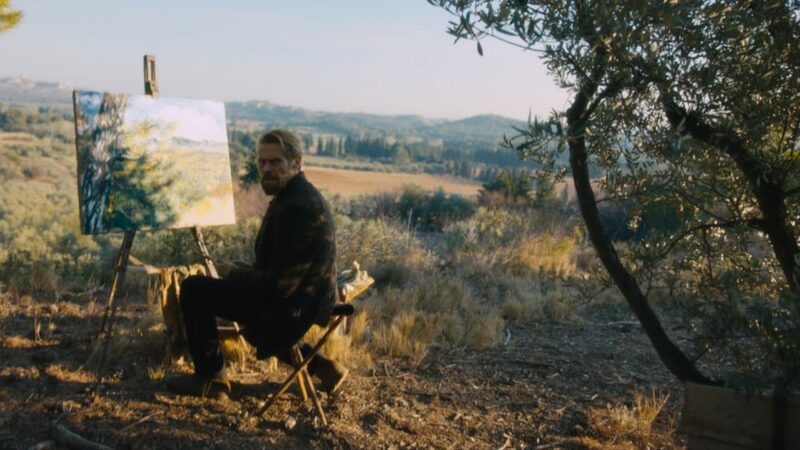 Oscar-nominated Dafoe is mesmerising as Vincent, and Schnabel brings his painter’s eye to the film, using filters and lens distortion at points to reflect the artist’s vision, as well as his disturbed psychological state. The programme will also include our current BRIT School Showcase film Parole (12A), directed by Lea Georgiev & Persephone Wood.